Have you ever wondered how your posture affects your reasoning and health on a general note? A healthy man or woman is a wealthy man or woman. You will not understand this until you find you are sick. Taking your health seriously makes your life more enjoyable. Bad posture can be associated with medical disorders for example joint stiffness, back issues, tiredness etc. Good posture on the other hand assists your body and bones to be in their right order and function correctly. Oftentimes, we find ourselves hunched over a screen. Sitting up straight and standing up straight can help with confidence boosting and help one think properly. The advantages of standing up straight or sitting up right are enormous, for one benefit, it makes you feel better about yourself and you send out a positive message which most times is non-verbal. Body language communicates to others around you. This can influence the response you get from others. To the extent that you can get a date based on your body language. Non-verbal expressions like a wink can get your attention whether you know it or not. In summary, the way you position yourself affects how you think and feel about yourself, which extends to how others will feel and think about you. 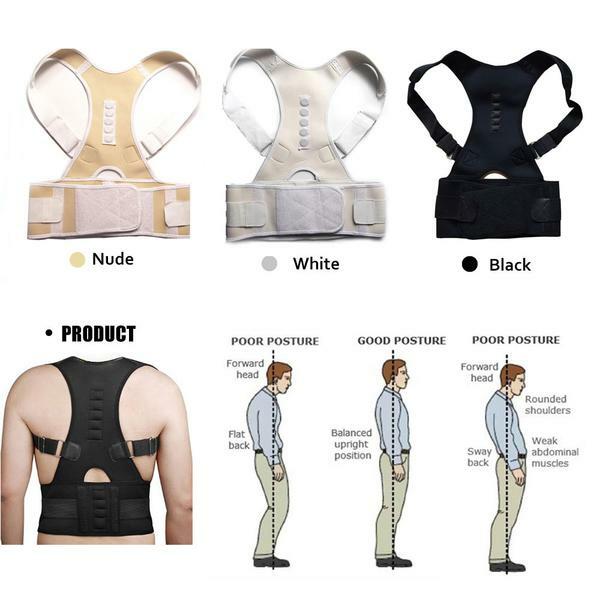 To start with, get yourself a posture corrector which can be worn as an under wear and start practicing sitting upright and standing up right to boost that confidence in you. You can also contact me for more questions and clarification at service@ogalady.com, and stay tuned for simple self development tips. Like what you read? Share it!! Previous Nigerian elites will be losers again, bigly!